On the heels of this week’s news that a major tech company had scraped nearly a million images off Flickr to help train a facial-recognition tool, Senate lawmakers have introduced bipartisan legislation aimed at prohibiting commercial users of facial recognition from collecting and re-sharing such data without the public’s consent. The bill was introduced by Republican Senator Roy Blunt of Missouri and Democratic Senator Brian Schatz of Hawaii, members of the Senate Committee on Commerce, Science & Transportation. Known as the Commercial Facial Recognition Privacy Act of 2019, the bill follows the disclosure of a project at IBM that extracted nearly one million photos from Flickr to feed algorithms designed, the company said, to reduce bias in facial recognition technology. Although the photos were listed under a Creative Commons license and could, therefore, be reused without obtaining any additional permissions from the owners, photographers told NBC News, first to report the project, they were nevertheless alarmed. Others stated that it was unethical to use the photos, offered freely to the public for an entirely different purpose, to train what is effectively surveillance technology with broad commercial and law enforcement applications. Senator Blunt cited growing concern among Americans about how their data is being collected and used in this arena. “That’s why we need guardrails to ensure that, as this technology continues to develop, it is implemented responsibly,” he said in a statement. The bill does not require law enforcement on any level to seek consent before using the technology. 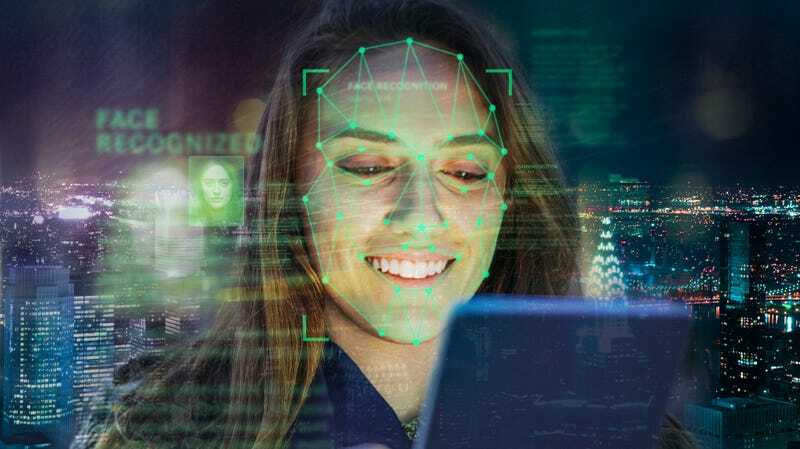 Facial recognition is now a common fixture at U.S. borders and ports of entry for all international travelers, including U.S. citizens, in accordance with an executive order signed by President Trump two years ago. Citing government records obtained under the Freedom of Information Act (FOIA), BuzzFeed reported Tuesday that Homeland Security is now “rushing” to implement the systems nationwide before a 2021 deadline. Most alarming to privacy advocates is the fact the records, released under FOIA by U.S. Customs and Border Protection (CBP), indicated there are no limits on how partnering airlines can use the collected facial-recognition data. U.S. officials declined to answer questions about whether there are any privacy safeguards in place, according to BuzzFeed. In a statement to Gizmodo, the lawmakers noted the increasing rate at which facial recognition is being applied commercially, and that, despite its use for security purposes for over a decade, many Americans remain unaware of the fact that their faces are often scanned in public, or that facial recognition data is widely shared by companies with undisclosed third parties. Calling facial recognition a “powerful and invasive” technology that must be assessed for “accuracy and bias,” Chris Calabrese, vice president for policy at the Center for Democracy & Technology, said the bill would help Americans know more about how businesses are deploying and using it. “We deserve clear rules and limits on how our faces can be analyzed, identified, and tracked over time,” he said.